Along with the significant changes the corporate world faces including a new generation of minds entering the workforce as well as the rapid evolution of technology, corporate office design trends has drastically changed over the past 10 years or so. Every year, organizations try to set aside old ideas and keep a keen eye out for new innovative ways to gain competitive advantage against rival organizations. More importantly, the corporate world today is all about doing major structural changes to the traditional office design we knew to create efficient work spaces that can boost productivity as well as levels of happiness and motivation to work among employees. Now that 2019 is starting, organizations must be planning of creating a new office design to change things up for the better. To guide you with your renovation, here are 2019 latest trends in corporate office design. Improvements in technology has opened doors for employees to work from just about anywhere outside the office. In fact, according to the recent study done by IWG titled The IWG Workspace Survey with over 18,000 business people from across 96 companies, 70% of employees work remotely at least one day a week somewhere other than the office, while 53% of the employees work remotely for half of the week or more. In addition, the annual survey of FlexJobs in 2018 shows that 65% of 3,000 surveyed workers think they would be more productive at home than working in a traditional office environment. Considering this, more and more unconventional workspaces are being made by companies to support their employees’ need for diverse working environment without leaving the office. It can be as simple as providing comfortable chairs and tables in an unutilized corner away from the main workstations, or as strategic as incorporating cafés or lounges inside the office library to encourage employees to bring their work there for a change in atmosphere. Private pods are another office design trend created with concern for more unconventional spaces for individual work. Different from the traditional cubicles, private pods are self-contained spaces that provide workers a solitary area or a micro-environment away from the distractions in the office. The pods that usually look like enhanced telephone booths are very useful spaces not only for high-concentration solo tasks, but also for making private calls and virtual meetings. The traditional long rows of desks will easily bore the employee who would have to go to the office for at least five days a week and stay there for eight hours or more a day. Dividing the office into different regions to break up the monotony is one of the new office design trends in 2019. The latest and most popular approach to this is providing resimercial spaces, a combination of residential and commercial, in various spots of the office to bring some aspects of home into the workspace. One simple way to do this is to provide a small informal lounge that imitates the design of a home living room in the middle of the office. It should then be a great place where employees can relax during their breaks. Another simple way to avoid boring and stale offices is put a gallery of paintings or motivational quotes in different locations. 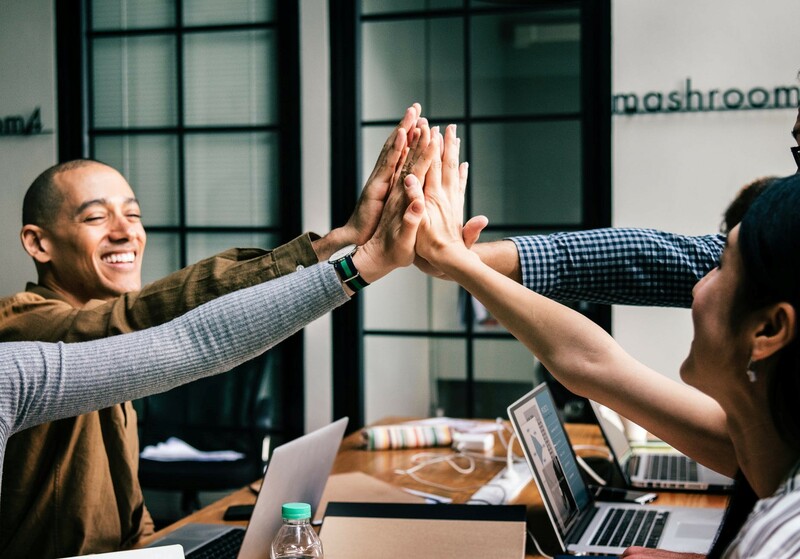 Not only is it helpful in bringing more life into the office, but it can also help employees stay creative and motivated. Meanwhile, a more exciting way to break up the monotony in the office is to use an office design layout that would make your employees feel like they are navigating a labyrinth whenever they roam around. Try to scatter displays of interesting pieces with descriptions on them all around the office or have the employees walk through a mini-museum before they reach the meeting rooms. Be creative with the layout and keep your employees curious every time! The importance of collaboration has been explored more recently with regards to coming up with efficient corporate office designs. One of the companies that did their research on it was Salesforce in their 2012 infographic titled Is Poor Collaboration Killing your Company? Where 86% of the surveyed employees cite that lack of collaboration or ineffective communication for workplace failures. The concern about poor collaboration was one of the reasons why there was a rise on the use of open office design layouts among companies in the hopes of improving communication between employees, especially teams. However, it is not long before many realized the harmful effects of this certain architecture or office design which includes producing more disruptive noise. A better way to make collaboration the center of the workplace without employees losing concentration or privacy while working is to put long tables and whiteboards near each teams’ workstations where they could have quick or emergency meetings. 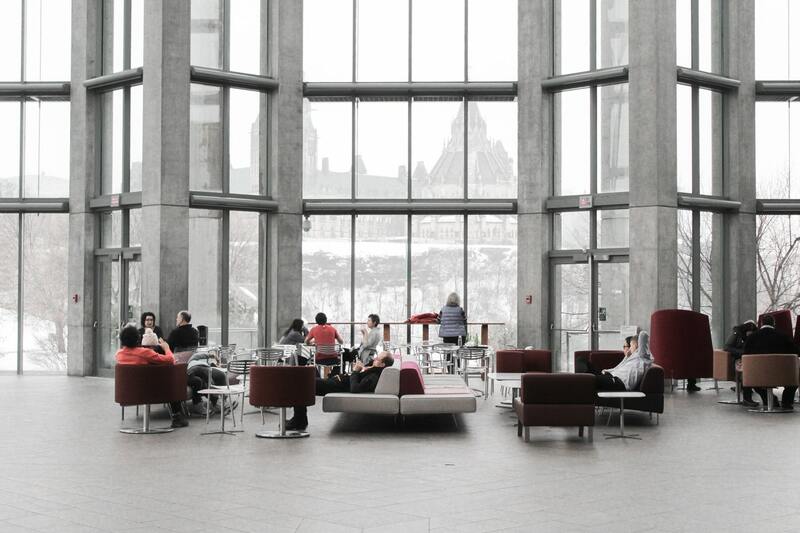 Another great way to encourage and support communication among employees is to strategically place benches or informal lounges throughout the office building where they could exchange ideas and insights for work. Of course, having unconventional designs for each of the meeting rooms may also help improve communication and strengthen collaboration between employees. Try to provide couches or even bean bags instead of the traditional computer chairs! Lastly, the latest trend in green architecture and office design is bringing the outdoors, indoors, incorporating Biophilia, or the human’s love of nature, in various aspects of office design. The use of the biophilic design approach does not only make the office environment look more appealing, but it also helps in improving the health conditions of the employees. 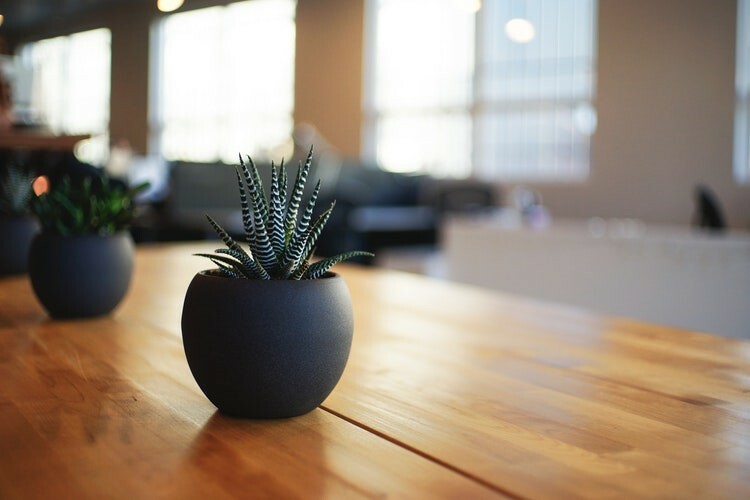 In addition to refining the quality of air, putting plants inside the workspaces can help boost productivity level by up to 15%, according to a research done by Dr. Chris Knight from Exeter University with his fellow psychologists. Biophilic designs can be incorporated in the office simply by using natural materials, textiles, patterns, and colors in the office design. It would also help to enhance the sense of nature in the office by making improvements on the natural and artificial lighting of the office. Of course, live plants should also be placed in various empty spots of the office. To avoid the stagnant office life, the office design should be refreshed once in a while. Be sure to follow the latest trends in corporate office design with the help of a construction company in the Philippines, and gear your company up with a new office design!